There’s been a continuing trend of late for sub-par Netflix movies; this week, there was the chance to break this rut with the release of the contemporary art horror parody, Velvet Buzzsaw. Jake Gyllenhaal stars as Morf Vandewalt, an uptight art critic with a cynical eye on the culture he loves to hate. Gyllenhaal stars alongside one of Hollywood’s most well-crafted ensembles in a long while, including legends such as Rene Russo, Toni Collette and John Malkovich. It’s a shame then that, with all this talent, they don’t do much whatsoever. Possibly the biggest flaw of Velvet Buzzsaw is having such a prominent cast and then not doing anything of merit for its near two-hour runtime. Insistent on being the new wave of Final Destination style movie making, the film is light on story and heavy on the dramatic horror and heavier still on the poorly-built tension. Most of the fanfare for this film comes from Gyllenhaal’s starring role, which is definitely one of his more solid efforts, especially when comparing it with his work of recent years. A bit like Nightcrawler but with a verbose stigma flowing through his performance, the character of Vandewalt couldn’t have been cast more perfectly. But as far as the rest of the cast go, they’re so poorly mismatched that it begins to ruin the flow of the film. Malkvoich is painfully underused, which goes to show that Netflix will cast him in poor horror movies like Bird Box solely because they know his name draws audiences. Toni Collette, who has had a string of semi-solid movies recently, has now ended that streak. Miscast isn’t the word for it, she doesn’t suit her role and the pacing of her character is so out of place it derails the movie rather rapidly whenever she appears on the screen. As far as character arcs go, it’s neither interesting or intricate, presumably it’s only in place to add a bit of story to the string of horrific murders that take place throughout the movie. Still, no performance is more painful than that of Zawe Ashton, who appears as Josephina. 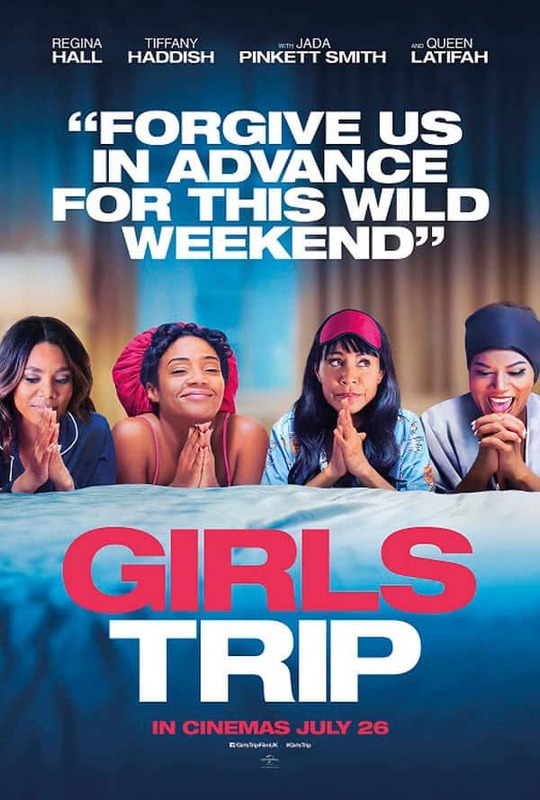 Her inclusion in the film is very questionable – there’s no real reason for her to be there unless Netflix had wanted the audience to be extremely invested in the personal life of Vandewalt. Still, Ashton is a good actor at times, it’s just a shame she isn’t given enough wiggle room here. Struggling to make the best of a bad performance, it’s rather dreary and a bit sad to see. 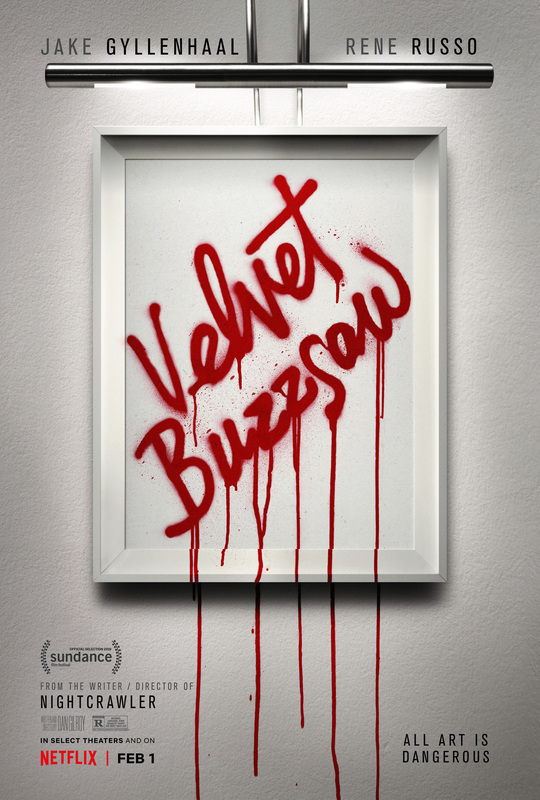 A sort of interesting premise aside, Velvet Buzzsaw is eye candy for the sycophant freaks who enjoy the Final Destination series; however, even those hoping for another such movie will be severely disappointed. Ditching the gore and verbose absurdity of those movies, the film instead seeks to use death as an artsy metaphor the whole way through. It’s a shame then that this metaphor doesn’t work, instead more of a boring side-track than anything conceivably useful. We weren’t expecting much from Dan Gilroy: the man wrote The Bourne Legacy, so that in itself should’ve been a big flashing warning light. Still, his direction here doesn’t really merit the build-up or extreme marketing Netflix has pushed. It feels far too sleek and shaven for a feature length horror movie in the style of the classic Saw/Final Destination films. There’s nothing worse than a film that makes you feel nothing at all, and that’s exactly what Velvet Buzzsaw manages to do.